A stylish 31.6 x 60cm gloss light marble effect wall tile from the Lucca ceramic tile collection, a range of quality wall tiles which perfectly fits with any style of bathroom or kitchen. 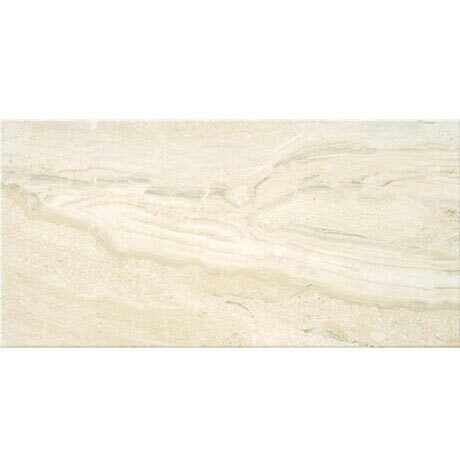 It contains a subtle Gloss Marble Stone Effect which gives a Natural Feel to the Tile. Lovely tiles with a quality print no obvious repeated patterns within the 10 boxes purchased.